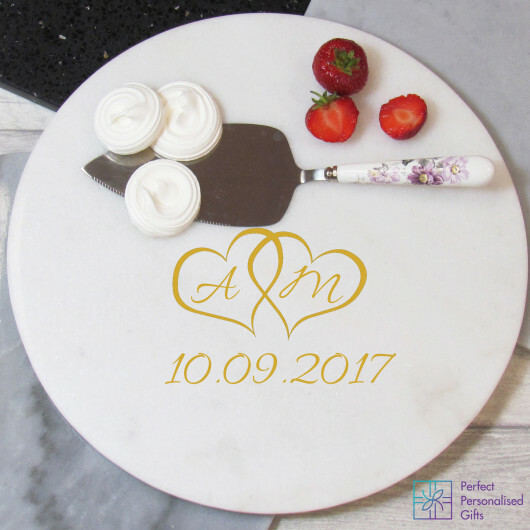 The marble cheese board is engraved with Initials within the hearts on the marble and a date. Then we hand decorate with gold, the board is food safe and dishwasher friendly. Make your marble board even more special and a gold gift box, with black shredded tissue paper and tied together with a black satin ribbon at checkout to make this a truly beautiful gift.